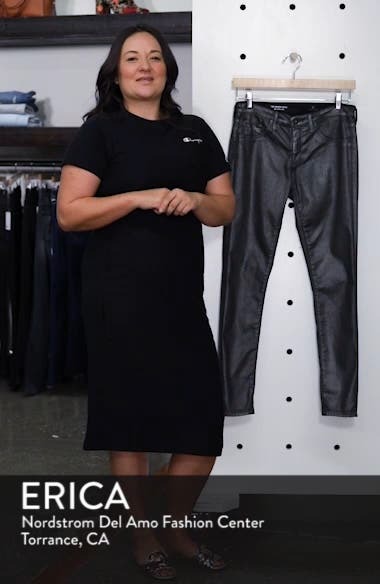 Cut in a curve-sculpting silhouette with a sateen sheen, these leggings constructed from supersoft Japanese denim exude sleek day-to-night attitude. Choose a sizeTrue to size. 24=00, 25=0, 26=2, 27=4, 28=6, 29=8, 30=10, 31=10-12, 32=12-14. Mid rise.